Christine Lawson founded Eventage in 2005 coming from working in the NHS and industry with over 25 years of conference experience. Her healthcare and NHS experience has given her a good insight into what is required in the delivery of an outstanding healthcare event. As a graduate nurse, Christine has a passion for the NHS and her values closely align with its principals. She is determined to work with clients on optimal meeting architecture ensuring that they take all aspects of delegate engagement into consideration when planning and delivering complex events. Eloise Street has been organising conferences and events since graduating from the University of Glasgow in 2002. Eloise has managed successful, stimulating events in the education, health, transport and whisky sectors in the UK and across Europe. Eloise produced events for the Division of Developmental Medicine for the University of Glasgow and has enjoyed working with a range of diverse companies as a freelance event management consultant. She joined Eventage in 2007. Since then she has deilvered conferences for audiences of between 100 and 2000 people. She enjoys facing the challenges that each different event offers. 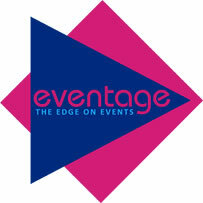 Alison Notley joined Eventage in 2011 having worked in the conference industry since 1993. Alison started out working in Convention Bureaus in both Edinburgh and Glasgow working specifically with the National Association market encouraging events of 100-3000 delegates to be held in the cities. Following this Alison moved to become the National Association Sales Manager at the Scottish Exhibition and Conference Centre for 6 years working to build the Centre’s client base within this market which was worth £1m annually. Having worked on the supplier side, Alison decided to move over to the client side to work on delivering outstanding conferences. Sheena Russell joined Eventage in 2014 after completing her training in Fine Art. Sheena has worked in conferences, carnivals, the Glasgow 2014 Commonwealth Games Ceremonies, art exhibitions & workshops which has given her a breadth of experience since her graduation. Sheena is responsible for all things visual at Eventage. She can create visual impact for all your event materials: logos to banners, handbooks to everyday communication materials. This can strengthen your existing brand or create an entirely new image specifically for your needs.